Achieve ‘I woke up like this’ levels of flawless with Born This Way Concealer, an extension of the iconic Too Faced Born This Way Foundation. Offering buildable, hydrating, undetectable coverage, the oil-free formula features a proprietary blend of colour correctors to ensure a seamless finish, hiding the appearance of fine lines as well as dark circles and blemishes. With 12 versatile shades to choose from – from ‘Very Fair’ to ‘Dark’ – you’ll be sure to fool everyone into thinking you were born this flawless. Perfect paired with the iconic Too Faced Born This Way Foundation, Born This Way Concealer offers buildable, undetectable coverage that’s quickly addictive. 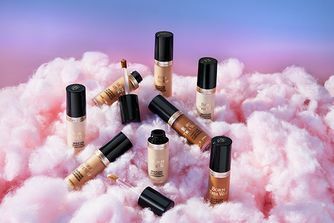 Inspired by an ‘I woke up like this’ beauty mantra, Too Faced set out on a mission to create a flawlessly natural-looking concealer – and Born This Way is the result. The luscious liquid formula is enhanced with a proprietary blend of colour correctors that help to brighten, boost and hydrate the skin, replenishing moisture levels to give skin a smoother, more youthful appearance. Perfect for camouflaging dark circles and blemishes, this also helps to minimise the appearance of fine lines and wrinkles thanks to the hydrating formula. The 12 shades are versatile enough to suit a wide array of skin tones: there’s everything from Very Fair to Dark via Light Beige and Medium Tan. Apply under the eye area in a V shape and blend. Layer as needed. For the longest wear, set with a setting powder. Layer one shade brighter under iris and top of cheekbone for the ultimate bright eye. Can be used to touch-up foundation during the day. 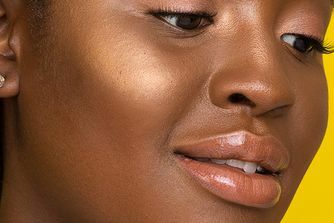 Très bon anti cerne illumine le regard, je le racheterai.. ***** Very good concealer, illuminates the look, I will buy it again! This concealer is mediocre at best. First of all, 'very fair' isn't fair at all. It's quite dark and noticeably yellow. Second, it creases very quickly, almost right away after the application, then you correct it, bake it, whatever - and in 15 minutes it creases again, even though I have dry skin under eyes. Finally, it is not suitable for the rest of the face as well as it is not the lightest from the beginning and tends to oxidise.